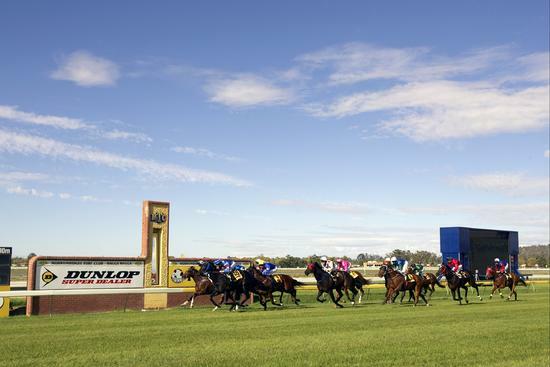 Wagga will entertain racing on Friday, January 12 with a nine-race card seeing clear fine conditions above racing on a good (4). The first of the Craig Widdison runners will see Cochranes Gap return second up from a spell to be ridden by Rebeka Prest, jumping from barrier eight with the runner currently an $11-1 chance after finishing fourth of 11/1400m at Albury in a class one a couple weeks ago when finishing strongly to arrive 2.21 lengths behind the winner when resuming. He jumps up 200 m from his last effort and will likely settle back, hopefully, be getting some favours from barrier (8). The oddly named Fish Bones Fry will compete in BM55 handicap in a heat of the Wagga Wagga stayers series over 1800 m with the five-year-old gelding jumping from barrier 12 with Simon Miller aboard at odds of nine dollars. Fish Bones Fry was last seen finishing eighth of 9/1800m at Wagga Riverside of BM 65 handicap and drops in grade here, already a winner this preparation for the relatively new trainer/runner combination and although fading to finish three lengths off the winner last time out. He is likely to have the speed to overcome the wide draw and any repeat of the Albury performance will see him very competitive in this. Best of luck to all connected at Wagga on Friday.